At Family & Cosmetic Dentistry of Kokomo, we are very excited to provide Botox/Xeomin Injections for our patients. Dr. Melissa Jarrell has successfully completed an Indiana Board of Dentistry approved course that allows her to administer Botox/Xeomin Injections to our patients. Not only can these procedures improve the appearance of wrinkles around the eyes and forehead, they can be used to enhance the beautiful cosmetic dentistry that we provide at our office. 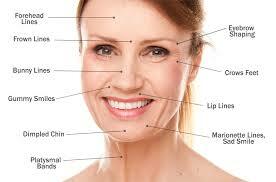 Botox/Xeomin treatment can also be used for therapeutic reasons. It can be used for relief from TMJ pain and clenching, and to reduce the appearance of a “gummy smile”. Dr. Melissa is trained in head and neck anatomy, and she gives injections in the area on a regular basis so who better than your dentist to administer your Botox/Xeomin Injections. To make it convenient to stay on schedule receiving your Botox/Xeomin Injections, you can combine your treatment with your 6 month check up appointment or with any restorative dentistry appointment. Call our office today 765-453-4369 to determine if you are a candidate for Botox/Xeomin Injections so you can leave your next visit with a more beautiful smile and youthful appearance. When you combine BOTOX® Cosmetic with your dental work, you can achieve a younger, more appealing look that helps renew self-confidence and restore feelings of appeal. BOTOX® Cosmetic is a safe and effective way to temporarily reduce wrinkles. The average BOTOX® Cosmetic injection will provide up to four months of results. We are dedicated to helping you look and feel your very best. Offering nonsurgical cosmetic procedures further allows us to provide a one-stop-shop for all of your facial cosmetic needs. If you would like to learn more about combining BOTOX® Cosmetic with your cosmetic dental procedure, please contact us at 765-453-4369 for your consultation!